Voice Lessons for singers of all ages, ability levels, and voice types. Vocal training can help improve confidence, public speaking ability, stage presence, tone and projection, and clarity of diction. Justin offers vocal training to singers of all ages, ability levels, and voice types, with an emphasis on opera, art song, early music, and musical theater. Everyone has a voice worth developing in lessons, and most students find their skill and confidence increase dramatically in the first few months of training. Vocal training can improve voice control in many areas of life, from public speaking, to interviews, to interpersonal communication. 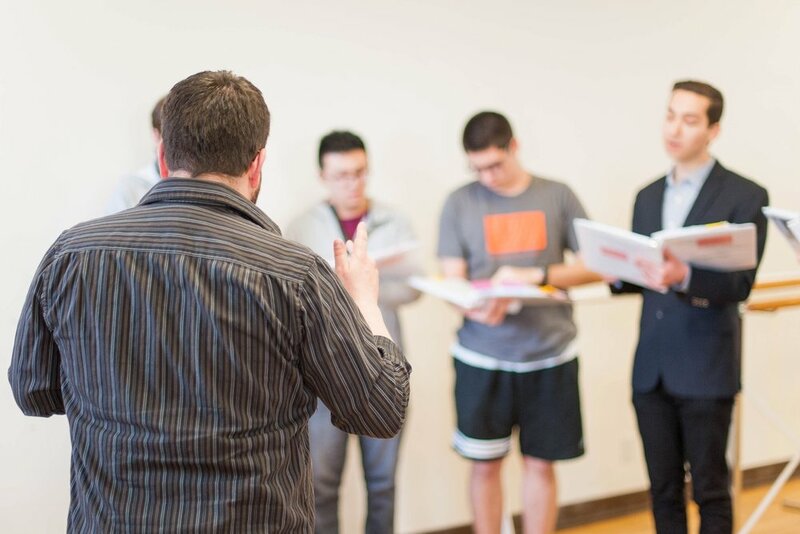 In 20 years of teaching, Justin's students have sung with Chanticleer, the San Francisco Symphony Chorus, Opera San Jose, Philharmonia Baroque, American Bach Soloists, Minnesota Opera, and many other companies. Former students are currently studying at the San Francisco Conservatory, NYU, Berklee College of Music, USC, and Oberlin, and past students have gone on to major conservatories and universities in this country and abroad. Justin Montigne's voice studio will be accepting new students in May, 2019. Please contact Justin to inquire about lessons or to be placed on the waiting list. Thank you, and I look forward to working with you! Vocal Technique, Musicianship, Performance. Lessons available in 30min and 1 hour increments at weekly, biweekly, and monthly intervals. Regularity, more than frequency, is the key to vocal progress. 2 to 4 students. Perfect for project-based coaching, families, or beginners. Group lessons can be fun and engaging, but are not effective for all students. Justin will work with students to determine the appropriateness of group lessons. Perfect for high school or college choirs, voice studios, and other educational groups. Vocal Technique, Performance, Choral Skills, Posture/Movement, Diction, Historical Performance, or another topic to be determined.